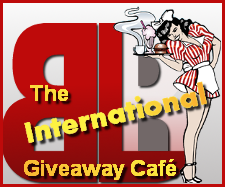 The Int’l Giveaways Café | Book Lovers Inc.
Good morning all and welcome to your one stop location for bookish giveaways with eligibility the world over. The time of year is approaching that you’ll be seeing tons of giveaways posted, so stay tuned here and remember to link up your own for the added exposure 🙂 Enjoy the rest of your weekend all! Also, remember to let us know if you’ve won anything recently; the Book Lovers would love to hear! At Book Lovers Inc., it’s our pleasure to share the bookish love! Good luck to everyone and hope you enjoy the rest of your weekend! 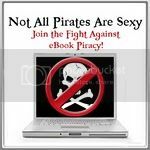 Welcome back to another edition of our bookish giveaway hot spot. This weekend is the Canadian Thanksgiving, so I’m happy to (virtually) share the turkey and stuffing with all of you 😉 While you may not have a real feast ahead of you like us Canucks, hopefully you have a great weekend and can squeeze in some much needed reading time! Good morning all and welcome back to this chilly edition of our bookish giveaway collection. Can you feel it, that imminent moment when Autumn officially starts? According to the Almanac, it’ll hit North America at 10:49am today, though what that means for the rest of the world (and I did try to research it :p ), I’m not sure. But here’s hoping for all of us experiencing the change that we have a few extra weeks (months?) of warmer weather before the you-know-what starts to fly. In the mean time, the cooler temps mean cozy sweaters or blankets that we can curl up in with our books, right?